Location, Directions & Contact Information - PRINCETON AIRPORT ~ Learn To Fly Here! Runway 28: PAPI, Thld dspld 299′, Pole. student touch-go flight activities Rwy 10-28.
no turns until 900 ft. and Cherry Hill Rd. end of Runway 28 to Montgomery Township. N40° 34.98′ W74° 44.51′ 171° 11.7 NM to fld. Note: Princeton Airport is located in a noise sensitive area. Anyone wishing to operate a TURBOJET powered fixed wing aircraft and land at Princeton Airport is, for safety and noise abatement reasons, requested to contact the airport management at 609-921-3100. Take New Jersey Turnpike, Exit #9 to Route 18 North (New Brunswick). Go 1/2 miles to Route 1 South (toward Trenton). Proceed 9.1 miles to New Road. After large water tower on left there will be a large green highway sign on right. Turn right on New Road – Go 1.9 miles to first traffic light. Turn left to Route 27 – Go .7 miles to first traffic light. Turn Right to Route 518 (Washington Rd.). Go 3.9 miles to 2nd light. Turn Left to Route 206. 1/2 mile on right is Airpark Road. Turn right and go straight to the orange awning. Take Route 440 North to the Outerbridge, On the New Jersey side it goes into Interstate 287. Exit Route 1 South. Go about 14+ miles. 1/2 mile on right is the airport. Turn right onto Airpark Road and proceed to orange awning. Get to Route 206 and continue South. 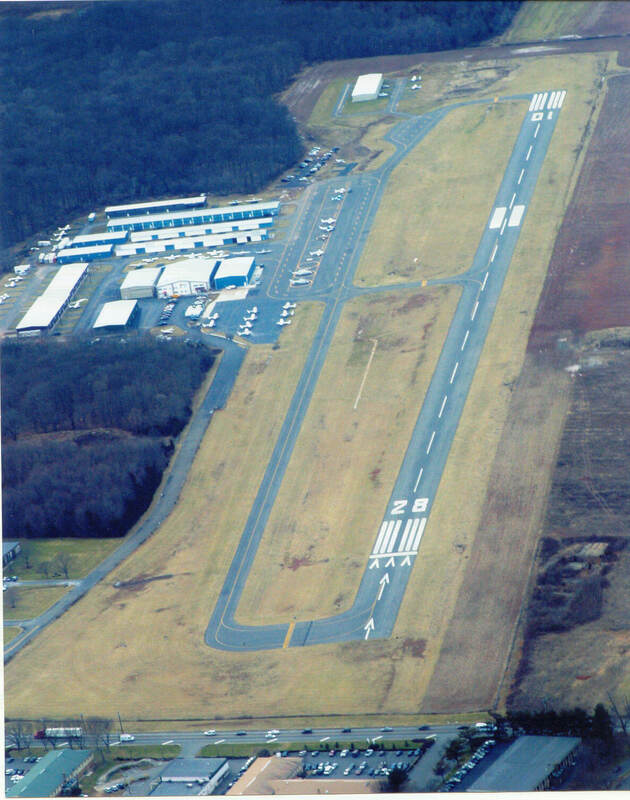 The airport is approximately 15 miles south of the Somerville Circle on the right hand side. Take I-95 (becomes 295) to New Jersey. Exit Route 206 North. Go 10 miles. Hint: As you approach the town of Princeton, Route 206 makes a sharp left hand turn. Stay with it. There will be car dealerships on the right. The airport will be on the left at the traffic light onto Airpark Road. Take Route 518 until it meets Route 206. (Gas station, Wa Wa, and bank on corners). Turn right on Route 206. Go 1/2 mile. Airport on right. Go right on Airpark Road to orange awning. Take Route 571 into Princeton-road ends. Turn right on Nassau Street (Route 27). Go 4 blocks on right. Left has more. Turn left on Harrison Street. (traffic light). Continue all the way to Route 206 (past the Princeton Shopping Center). Road is very windy. Turn right on Route 206. Go about two miles. Airport will be on left on Airpark Road. Unfortunately Princeton Airport is not near major forms of mass transportation. But there is service in the region. For schedules of buses and trains, check www.newjerseytransit.com. Stops on Route 206 in front of the airport (1/2mile). This bus can be taken from various stops in the town of Princeton. New Jersey Transit has buses leaving the Port Authority Bus Terminal in New York City frequently. This bus will take you into downtown Princeton from where you can either take a bus or taxi. available to take you to the airport. Princeton Airport by calling 609-921-3100. Rental Cars: 2005 welcome Avis Rental Cars on the premises to save travelers time. 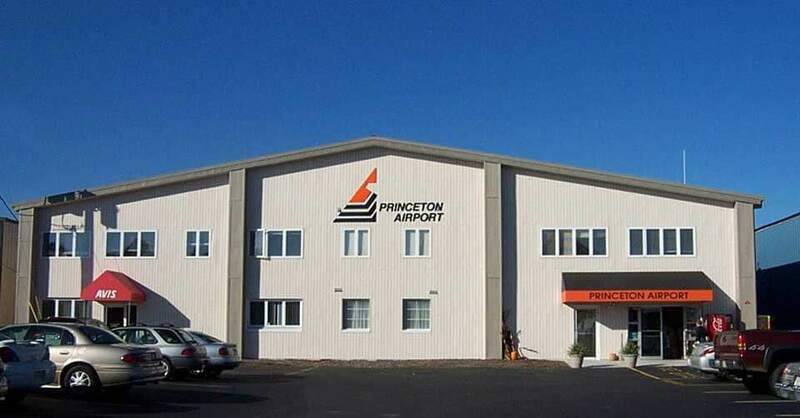 Because Princeton Airport is about an hour by ground to New York City and about 40 minutes to Newark International Airport, pilots are finding the airport a great destination for further travel or area meetings and touring. With the above services this should be a viable alternative to the congested northern airports.